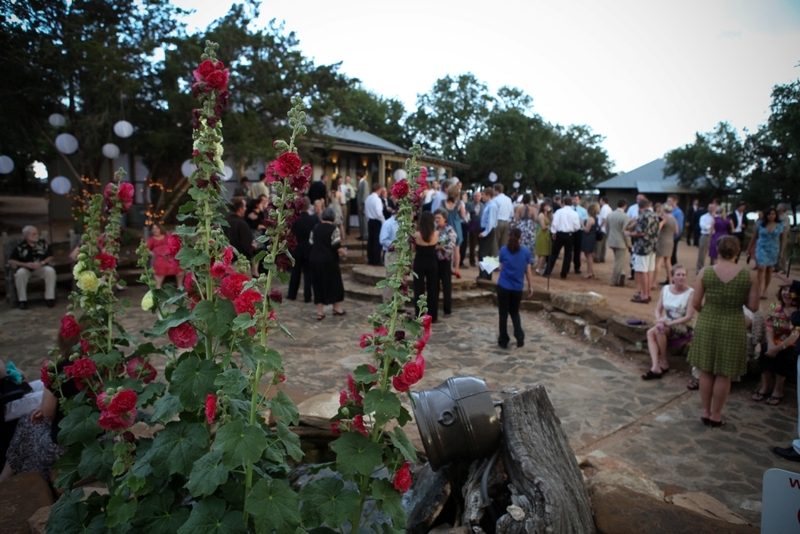 Canyon of the Eagles Resort is a state-of-the-art event center located in the Texas Hill Country and within a 940-acre nature reserve, located on the banks of Lake Buchanan and the Colorado River. It frequently hosts vacationers, wedding parties and anyone looking to get away from it all and get back to nature. There are apparently lots of opportunities for guided tours, hiking, site-seeing and more at Canyon of the Eagles (COTE). 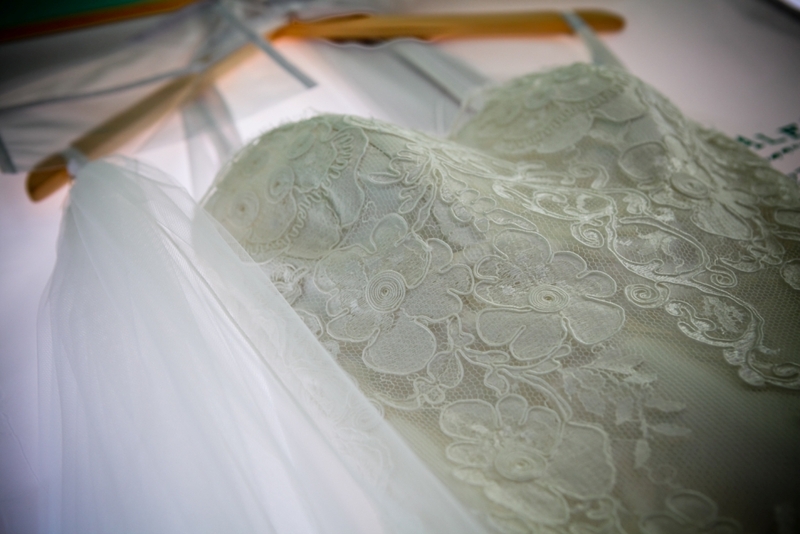 But I’ll simply give my impression from the experience I had there while photographing a wedding recently. First of all, COTE is far removed from city life and as a result nearby wild life is abundant and present. It’s a Hill Country afternoon drive from Austin through the rolling central Texas hills which is to be thoroughly enjoyed. When I arrived with all my photo gear in tow I noticed immediately that the place looked cleaner and newer than when I had photographed a previous wedding about 18 months before. I was greeted by Al, the manager, who was friendly and welcoming. He mentioned that COTE was under new management. As I began photographing the bride and groom prior to the ceremony I observed the beautiful arrangements and setup that the COTE crew were working on – beautiful flowers, linens, dishware all arranged neatly. 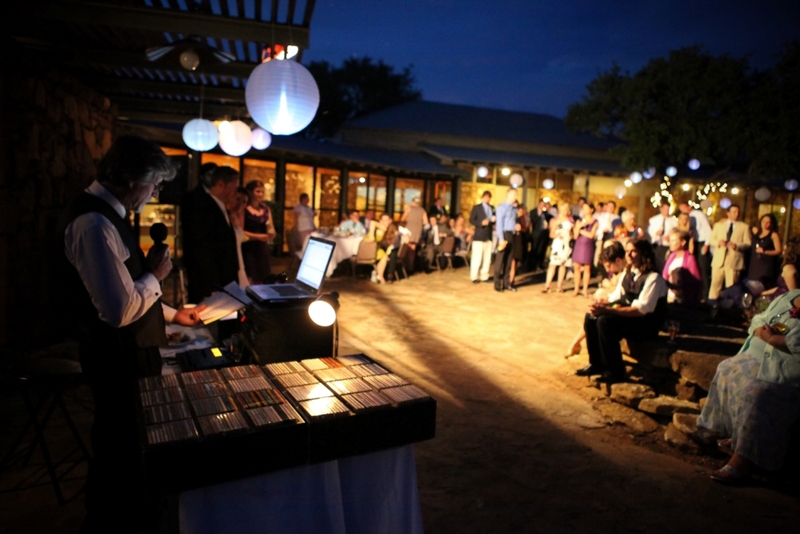 As the photos continued it became clear that a rainstorm was coming so the staff were quickly able to make arrangements to move things from the outside patio indoors, something that brides should consider when choosing a venue. 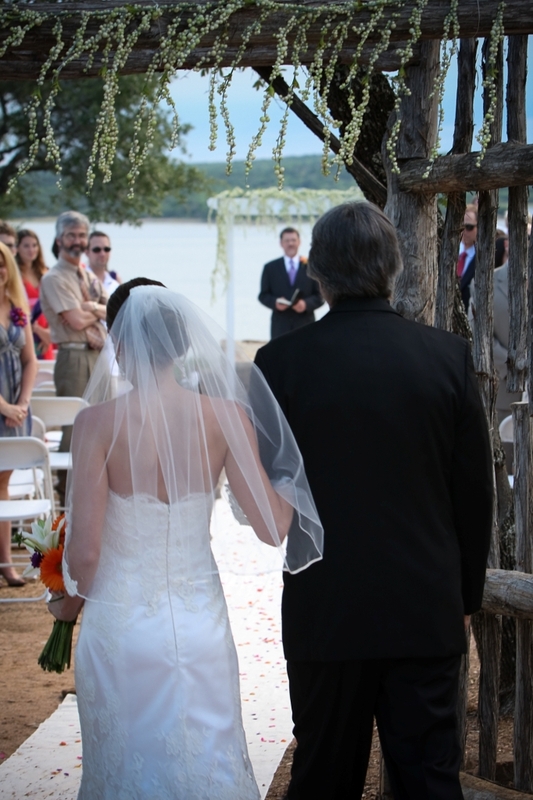 The wedding ceremony for my couple was held outdoors (as the storm clouds loomed in the distance) on a hill overlooking Lake Buchanan. The ceremony was simple: Purple flowers, white chairs, flower petals strewn down the aisle and decorative flowers seasoning the wedding trellis. 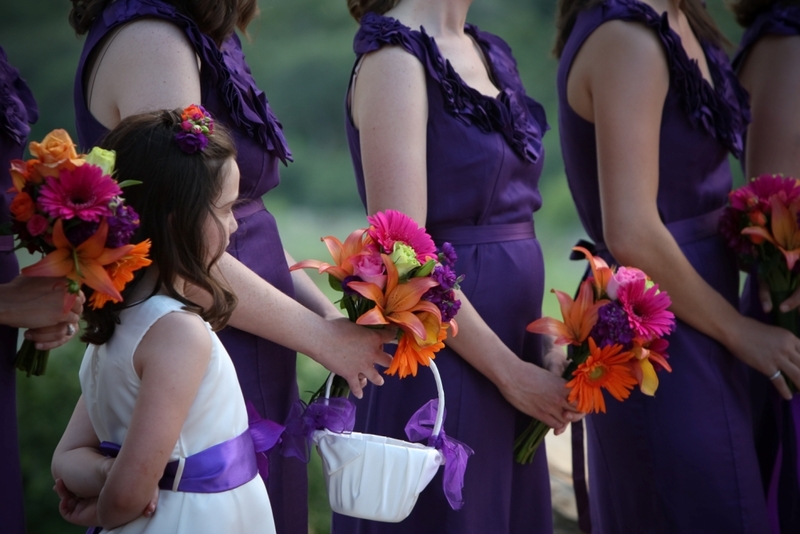 The bride and groom wore simple black and white; bridesmaids donned purple dresses with beautifully colorful bouquets. There were two flower girls and one ring bearer – the bride and groom’s dog. 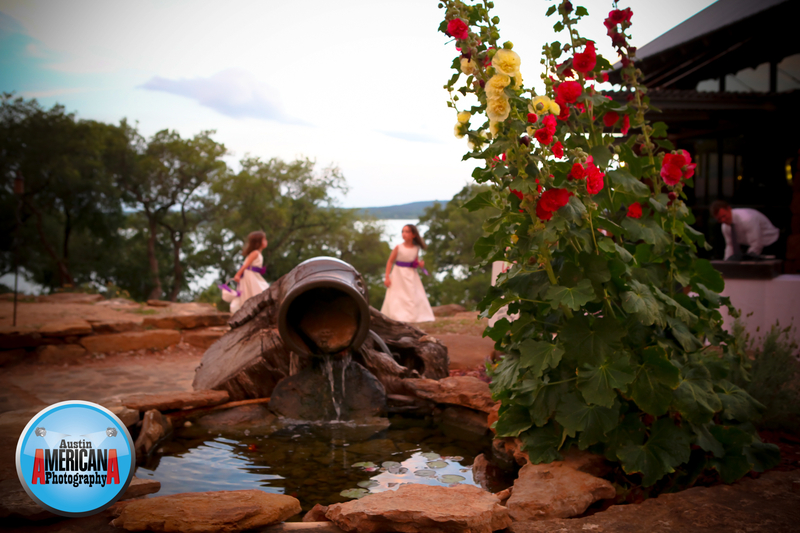 After the ceremony ended everyone walked over to the expansive, stone patio – complete with large wooden rocking chairs, a fountain, a bar and a beautiful view of the setting sun. As the sun set and as everyone relaxed with a cool drink a sense of peace settled over everyone. I’ve never observed so many smiles at one occasion! Later a few raindrops fell and the entire wedding party rushed inside to begin the reception. 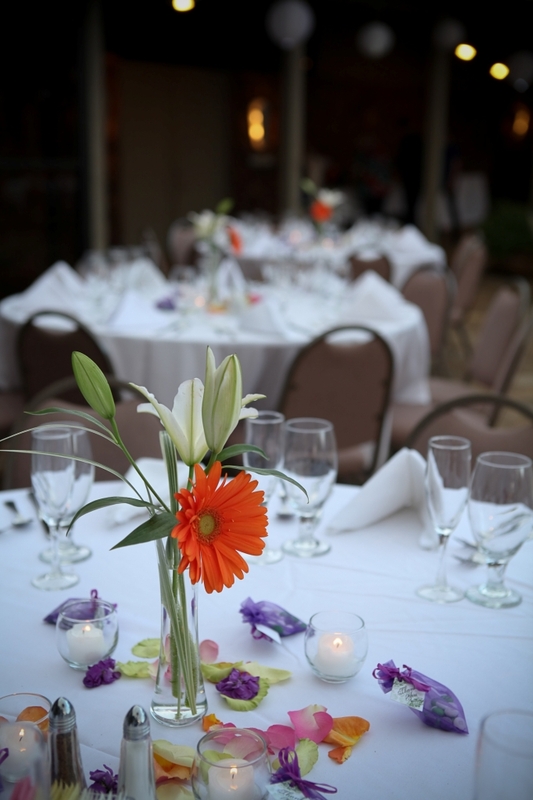 The COTE staff had already prepared an amazingly beautiful and delicious meal for the 100+ attendees. And it seems that no matter where you are on the Canyon of The Eagles property (indoors, on the patio, out under the trellis, etc.) you are at a great vantage point over the lake to see the sunset. Once the rain stopped and everyone finished eating the party moved outdoors again, onto the patio. 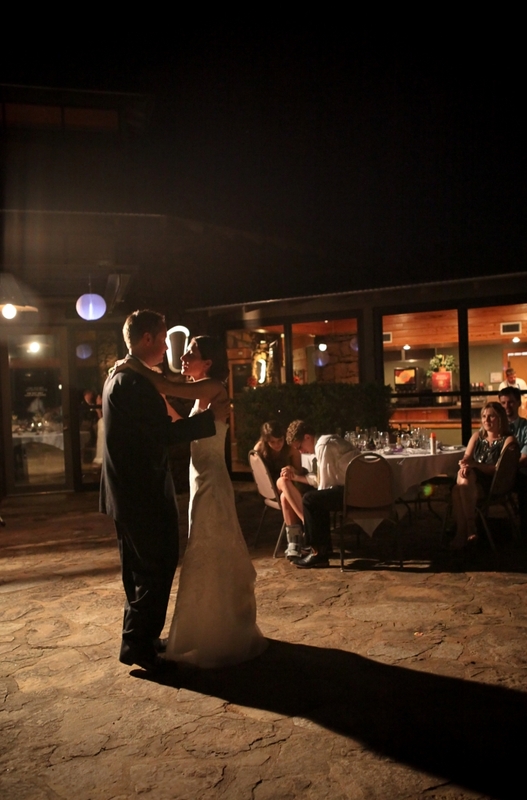 The bride, groom and their families all took turns sharing dances and toasts together beneath the moon light, ambient light and the outdoor decorative lighting to end a wonderful evening and joyous occasion.